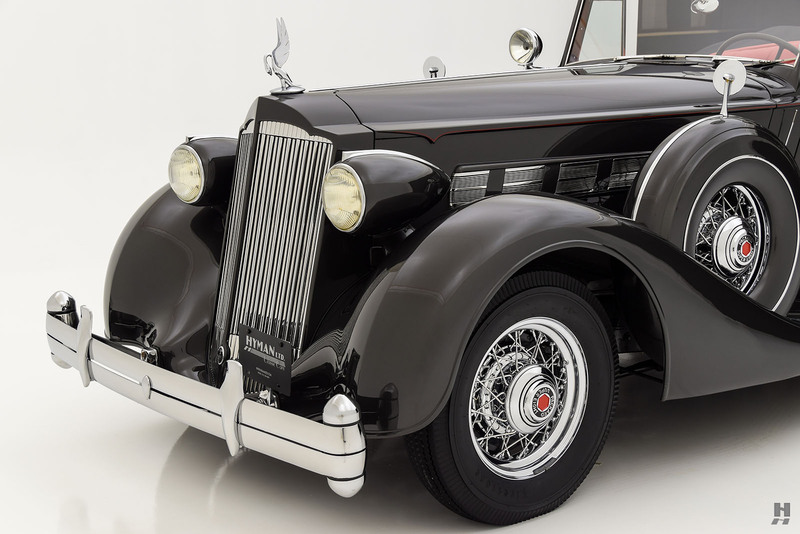 In 1936, Packard was riding high on the commercial success of the mid-priced 120 model. 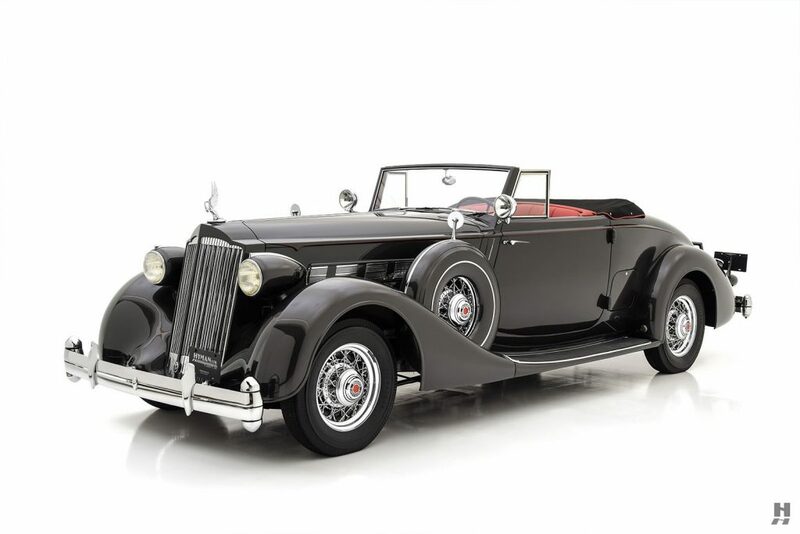 Taking a cue from Cadillac and their LaSalle companion brand, Packard used the mid-market car to boost sales and bolster the bottom line at a time when luxurious, custom-bodied cars were falling out of fashion. 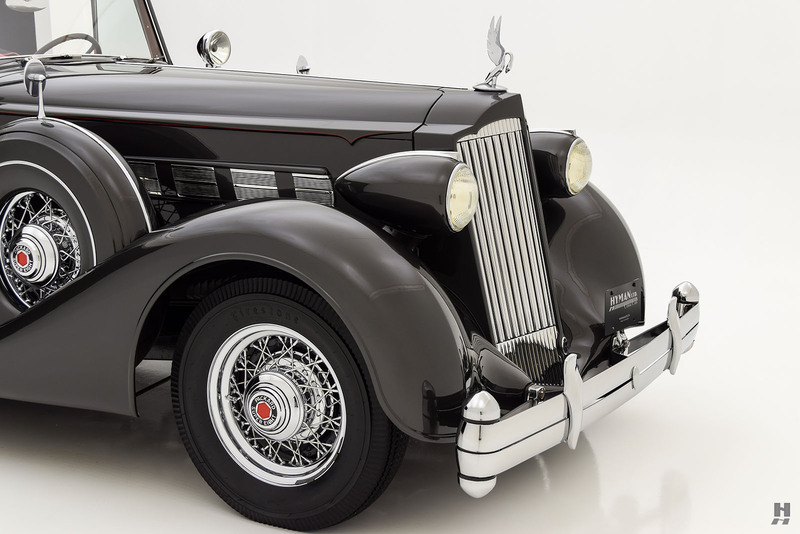 Packard had survived the great depression slightly bruised but still standing, while competitors like Pierce-Arrow and Stutz had either closed or were soon facing the receivers. 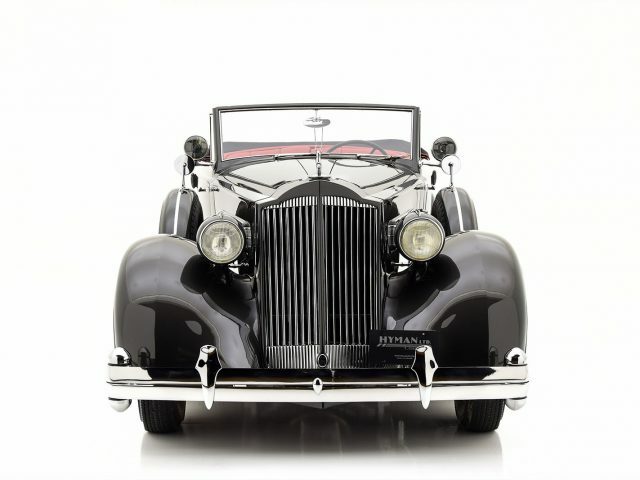 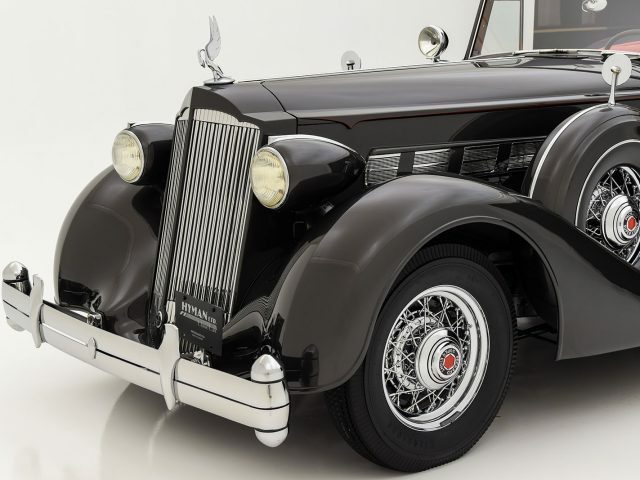 While the cash reserves were robust, Packard’s management wasn’t in a hurry to go on a spending spree, nor did they find it necessary to mess with the successful formula of the Twelfth Series of 1935. 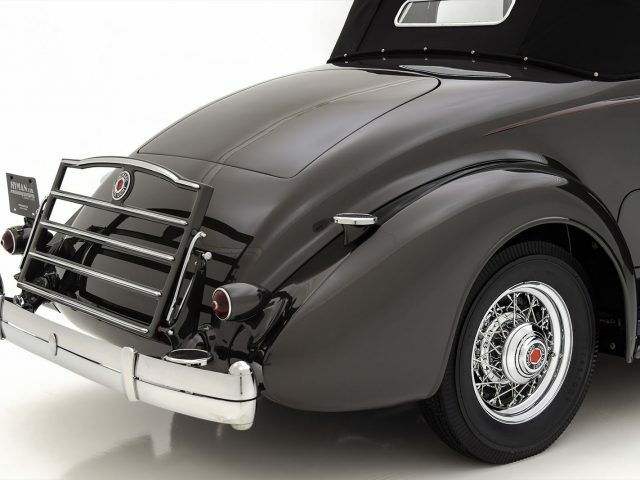 As a result, the new 1936 models were a subtle evolution of the previous year. 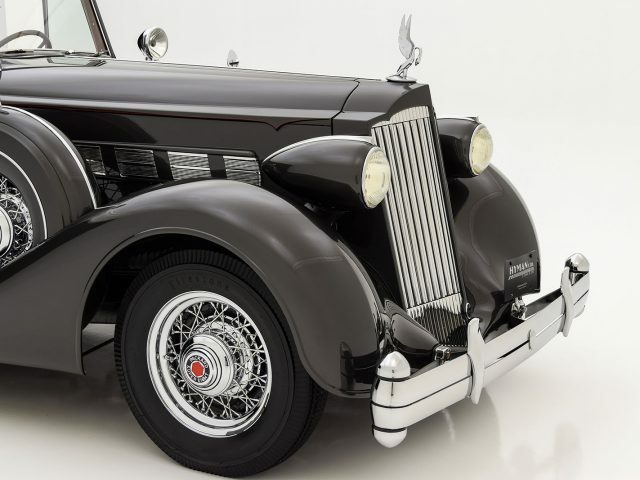 Introduced on August 10th, 1935, the Packard 14th series (there was no 13th Series likely for superstitious reasons) proved to be an evolutionary step forward. 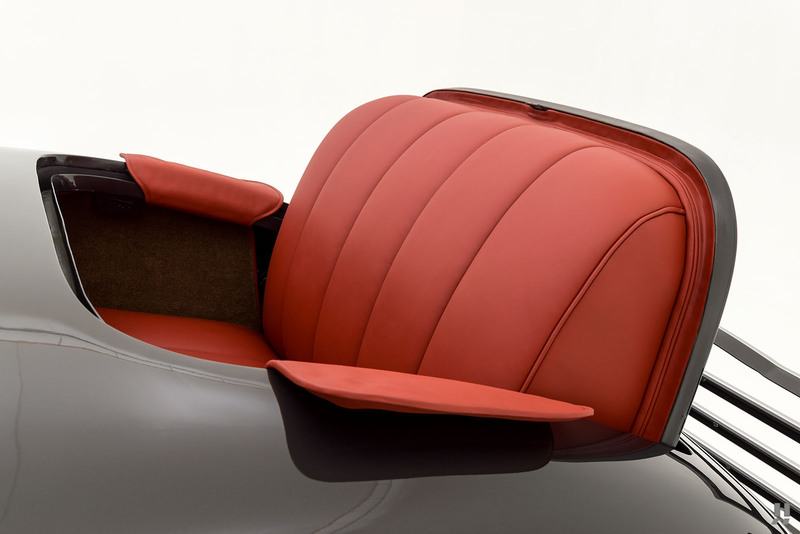 Hinting at the streamlined future, designers canted the radiator back a further 5 degrees. 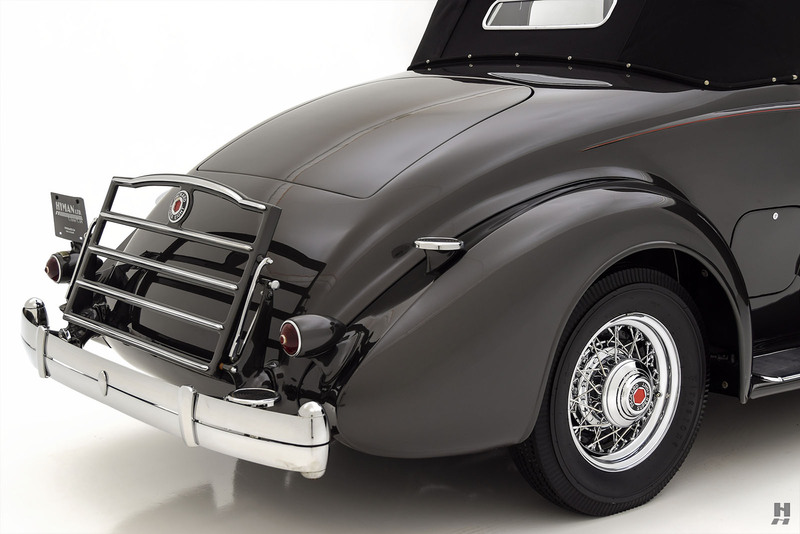 Flanking it were curvaceous, flowing fenders and painted bullet-style headlamps. 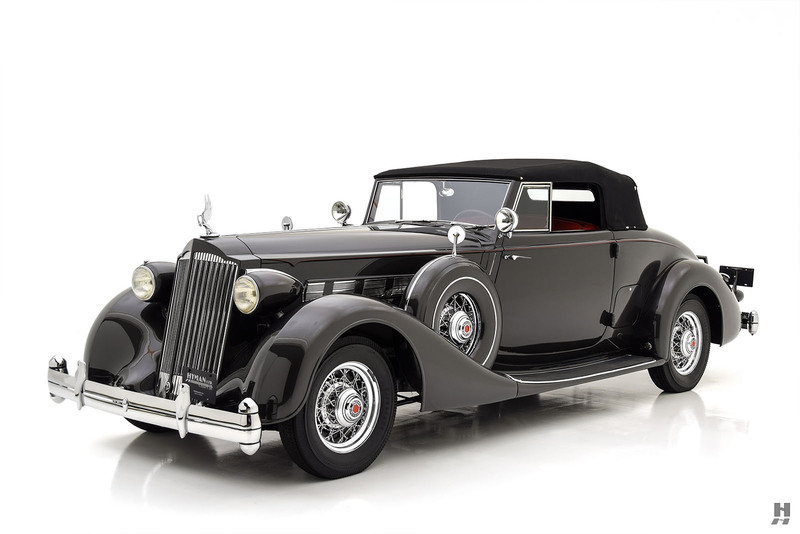 As before, three distinct model lines were available; the Eight, Super Eight and Twelve. 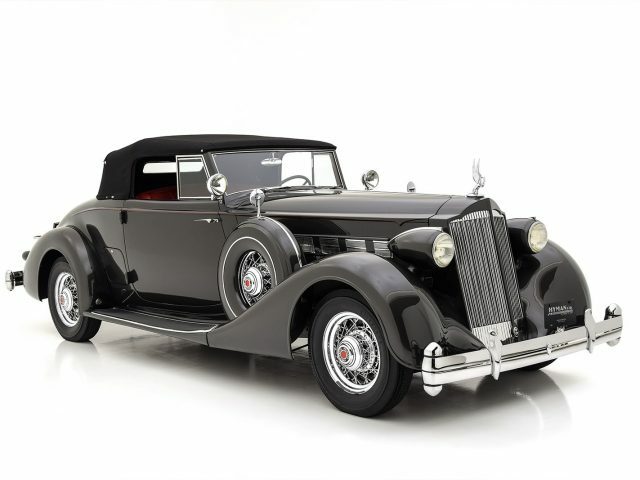 Coachwork options consisted of a range of factory catalog styles. 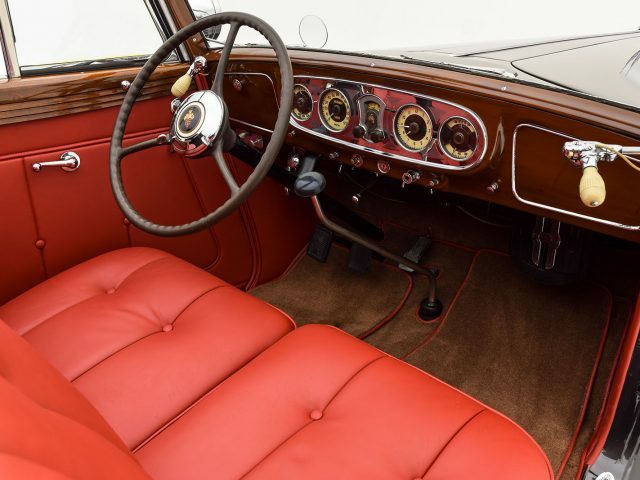 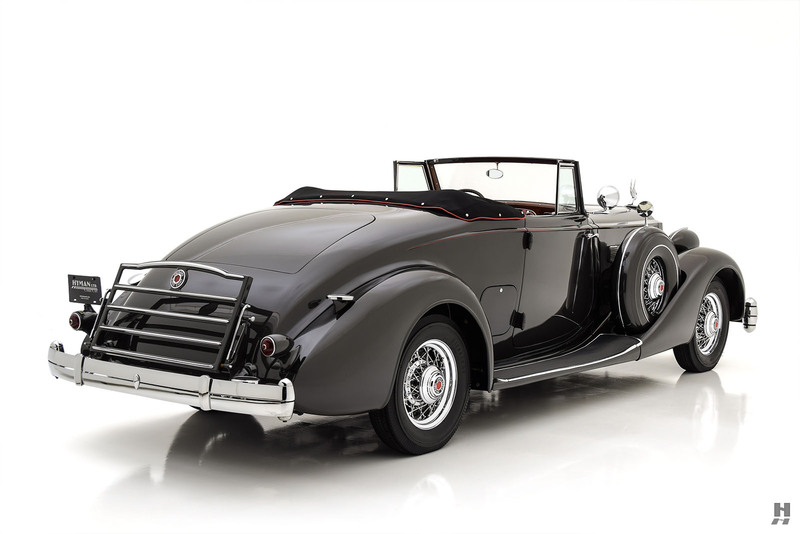 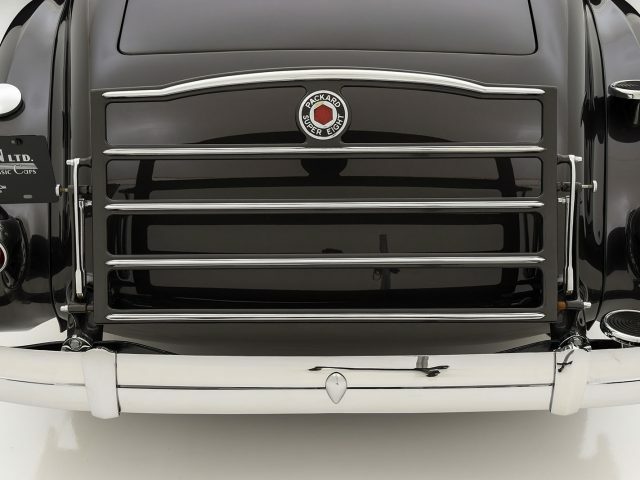 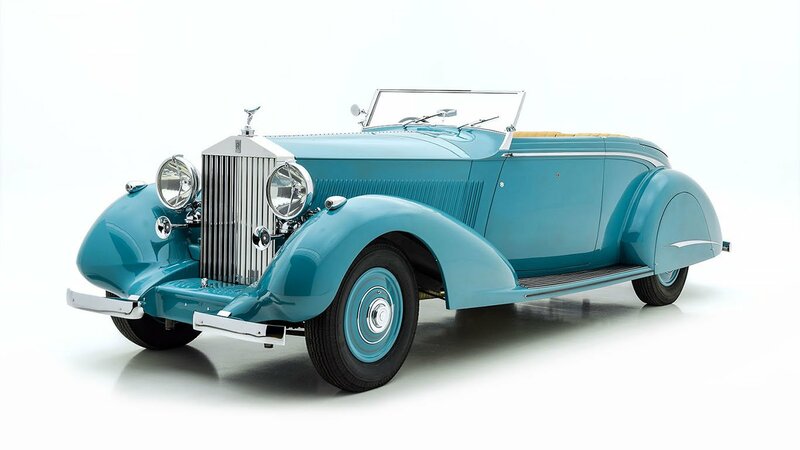 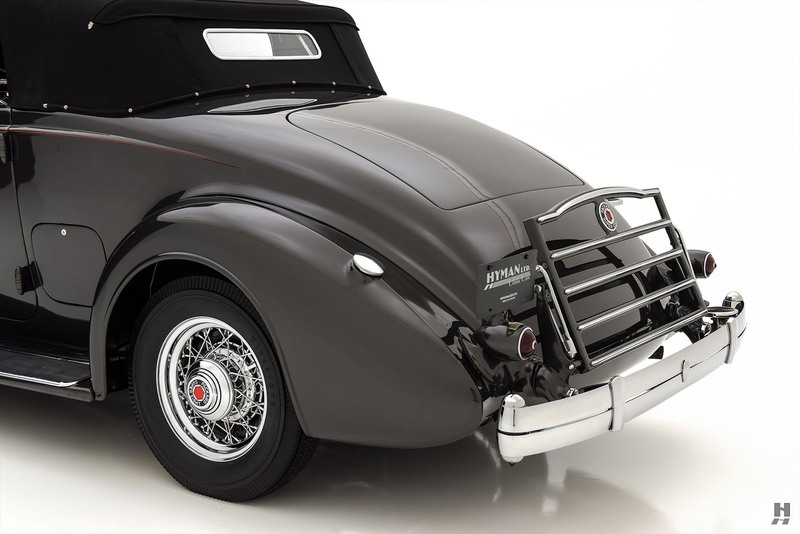 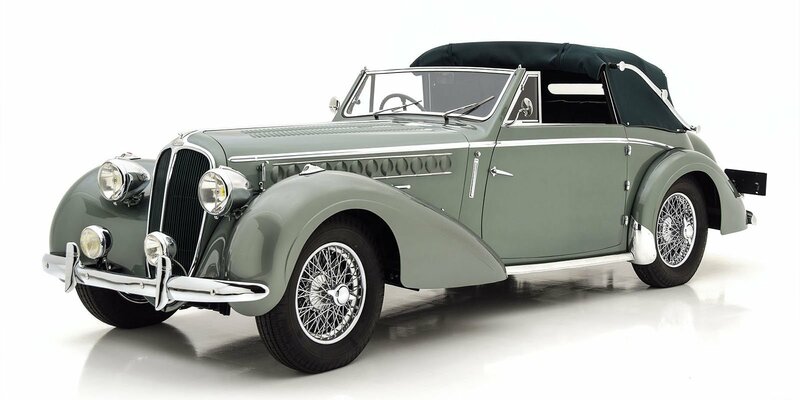 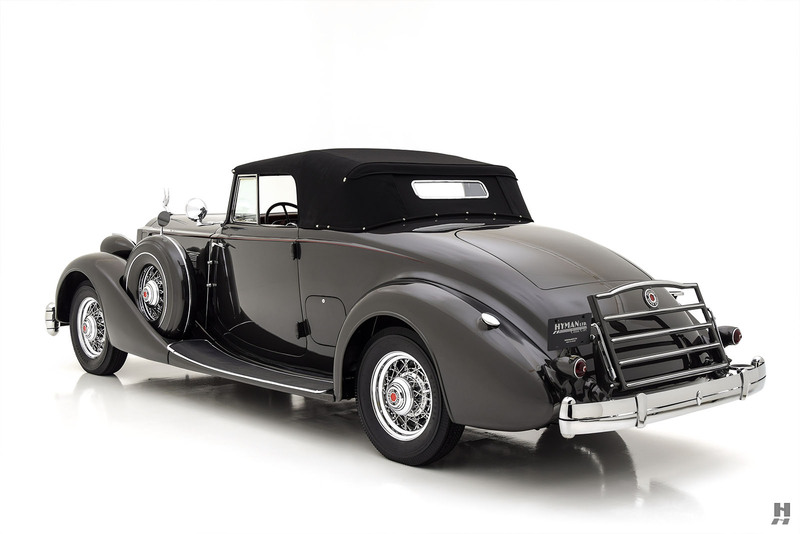 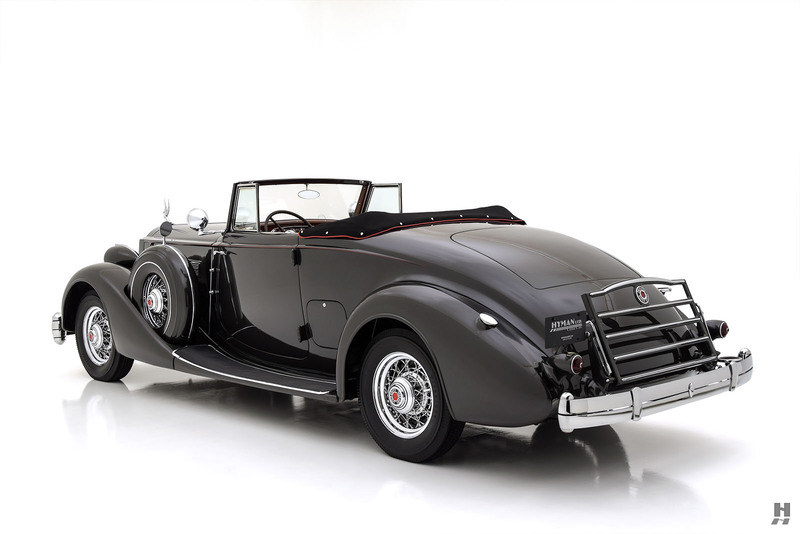 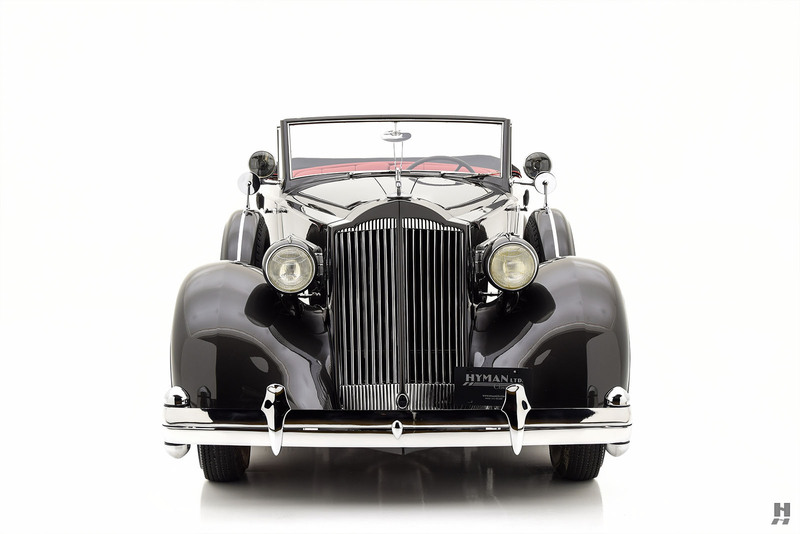 While custom coachwork was still an option for the wealthiest buyers, the practice was falling out of favor, and as a result, independent coachbuilders struggled to remain viable. 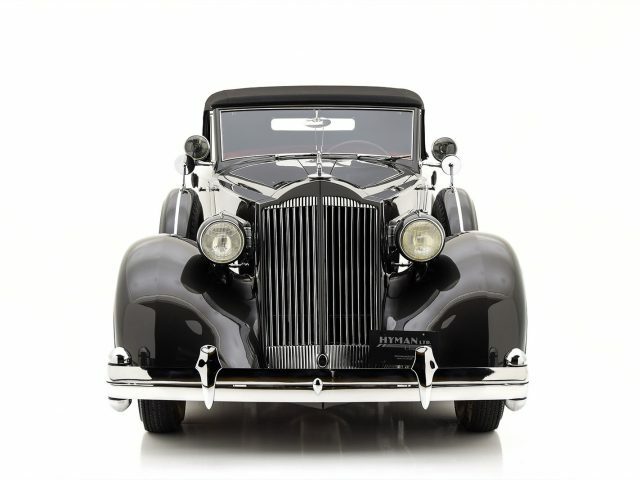 The Super Eight shared many features with the flagship Twelve, including the bodies which were effectively interchangeable as the two models shared identical wheelbase options. 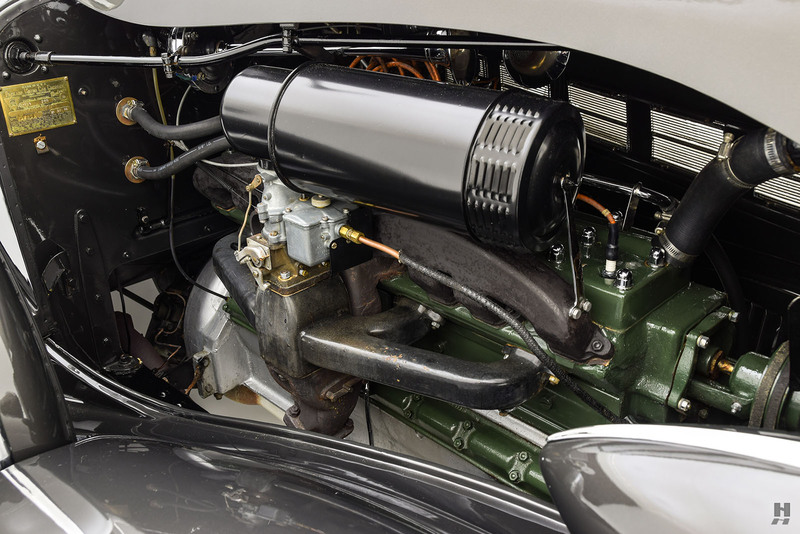 In terms of specification, the 14th series was relatively unchanged from its predecessor, yet it represents a significant turning point in Packard history. 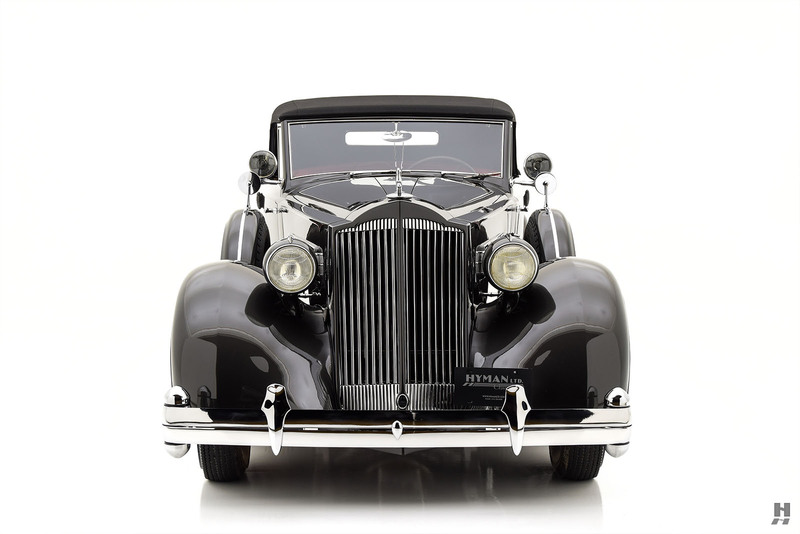 Today’s collectors covet these cars for the reason that they represent the final evolution of the traditional Classic Era Packard. 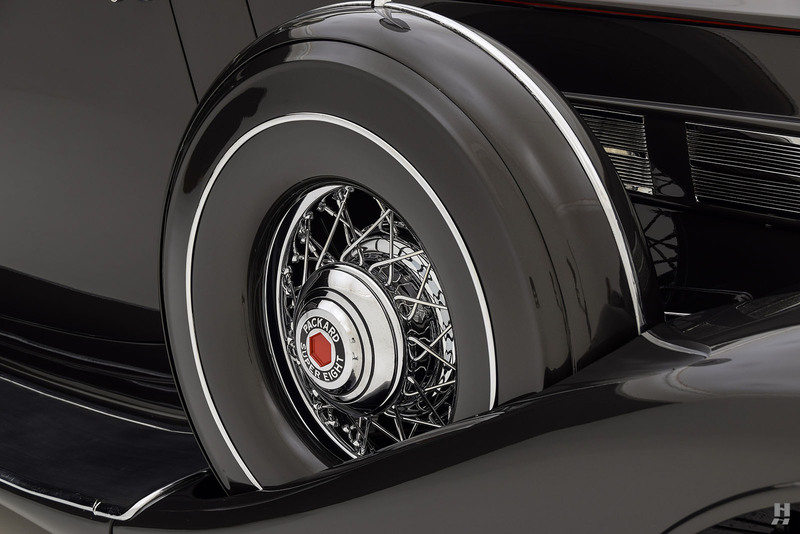 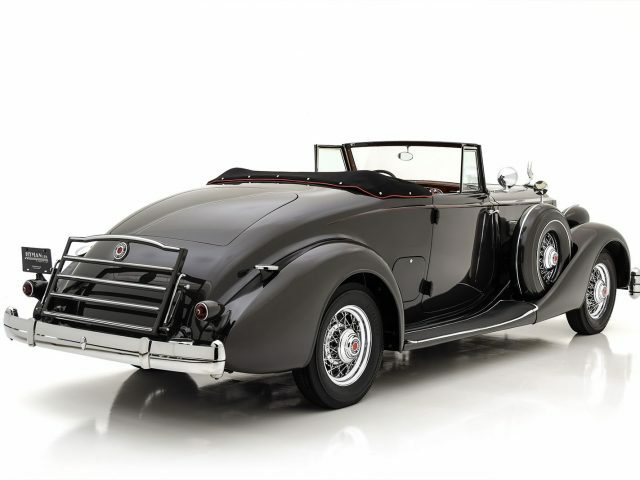 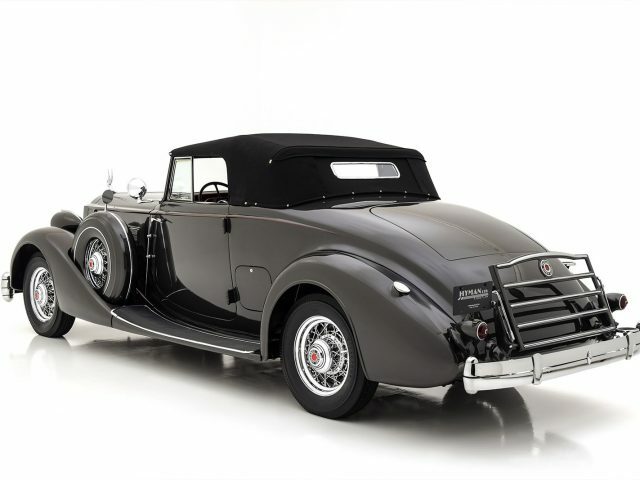 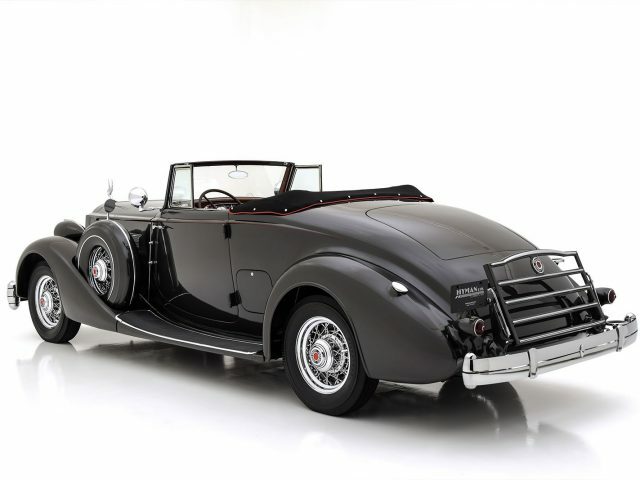 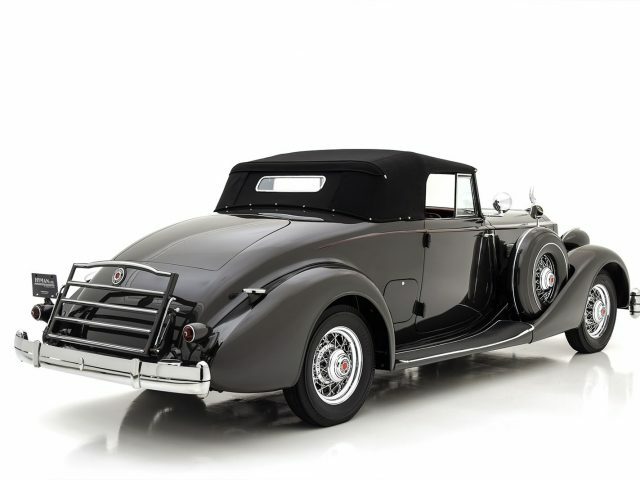 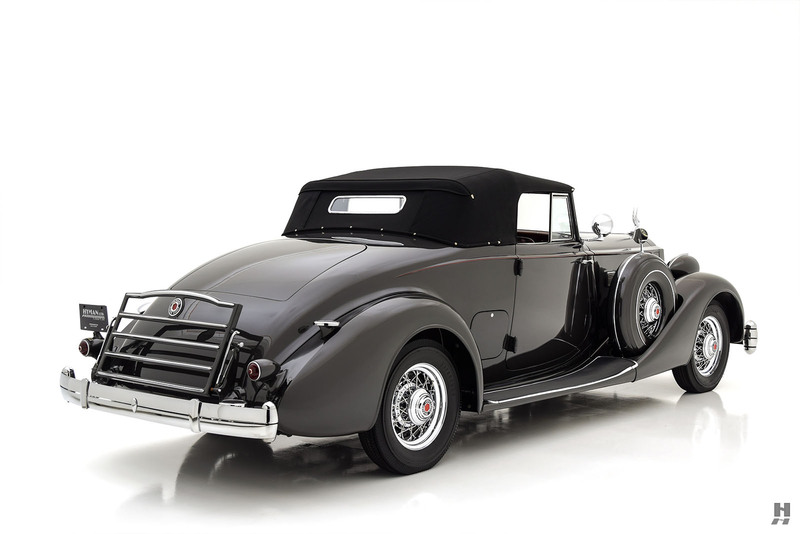 1936 was the last year buyers could opt for 17-inch wire wheels, ride control shocks, Bijur chassis lubrication and most notably, 1936 was the final year for the legendary 384.8 cubic-inch straight-eight engine before the 320 cubic inch unit replaced it. 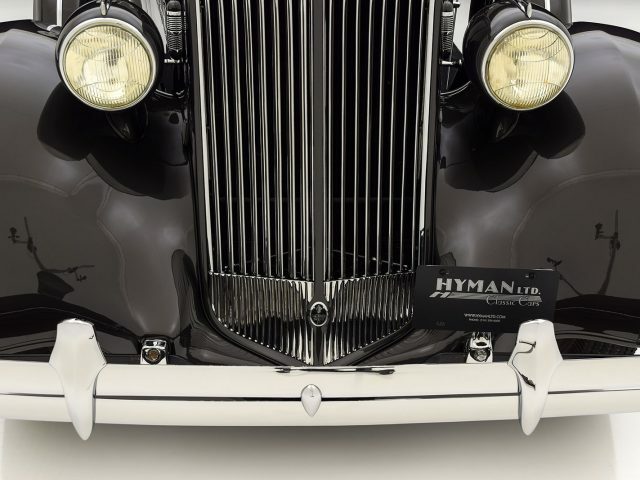 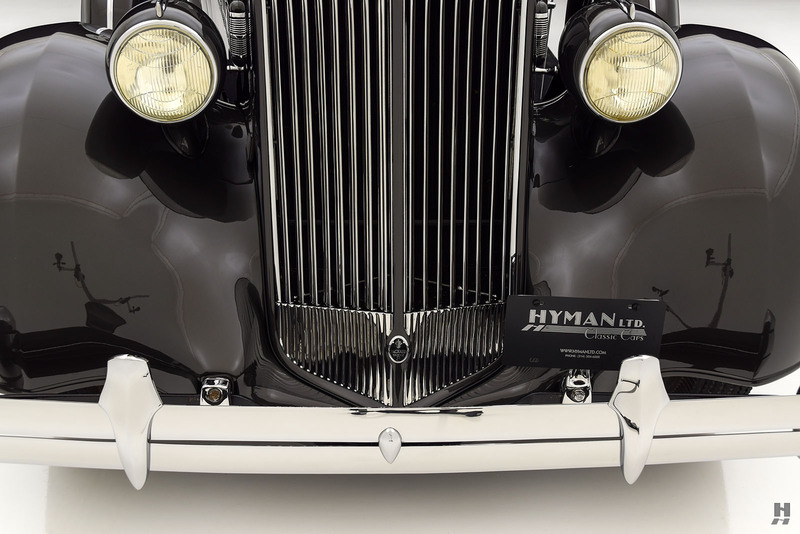 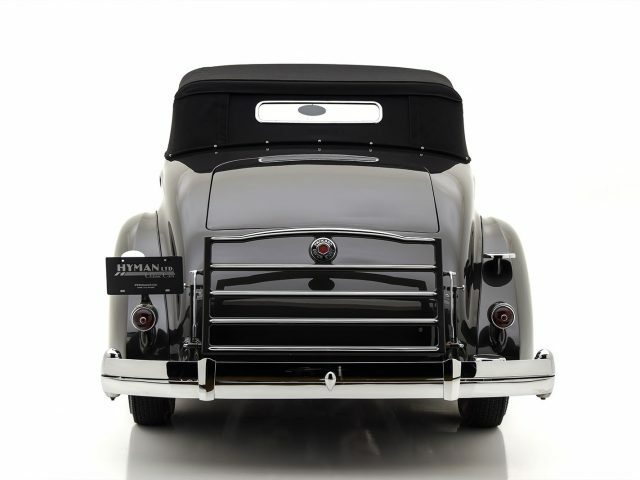 The 1936 Packard 14th Series is prized as much for the “last of the line” appeal as for the beautiful classic-era style and exceptional road manners. 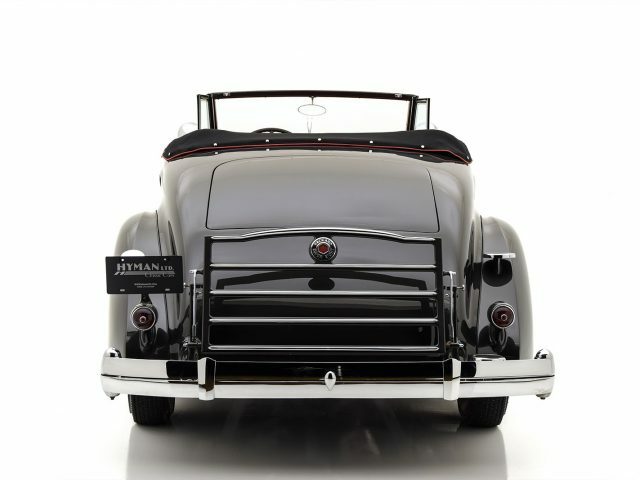 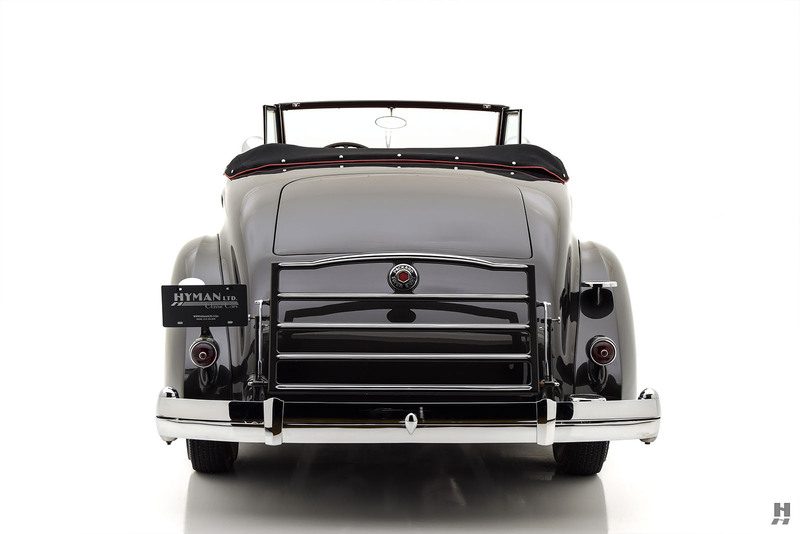 This 1936 Packard Super Eight Coupe Roadster (model 1404, body style 959) is a rare and sporting model from the Fourteenth Series. 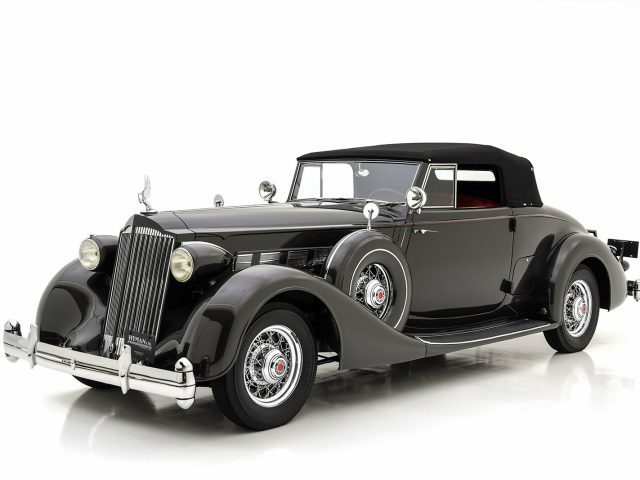 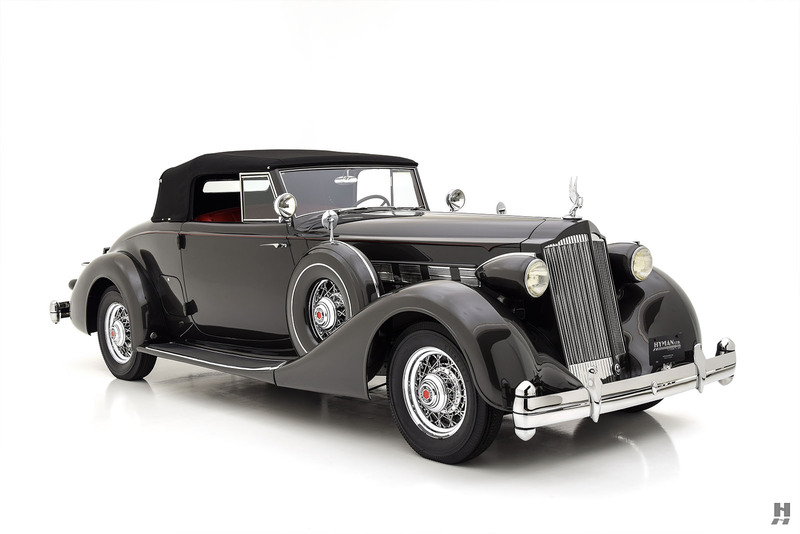 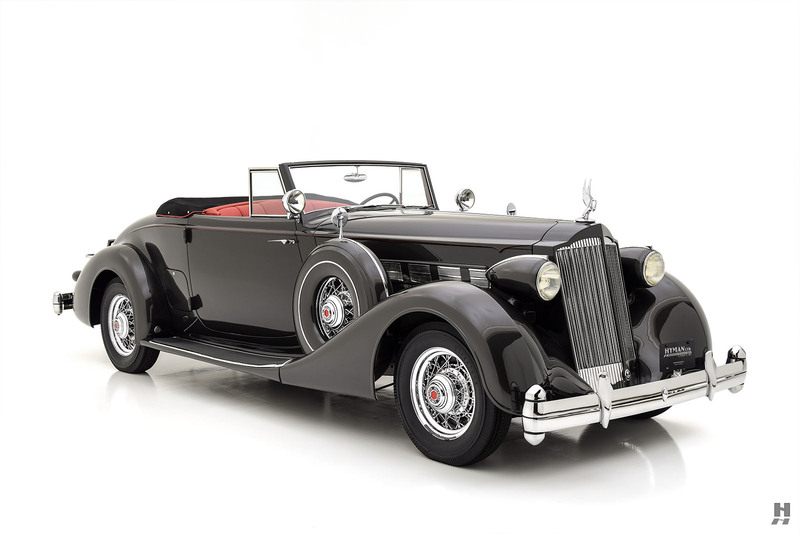 Packard produced 1,492 Super Eights in all body styles that year, and it is believed that fewer than ten examples of the sporty 1404-959 Coupe/Roadster still exist. 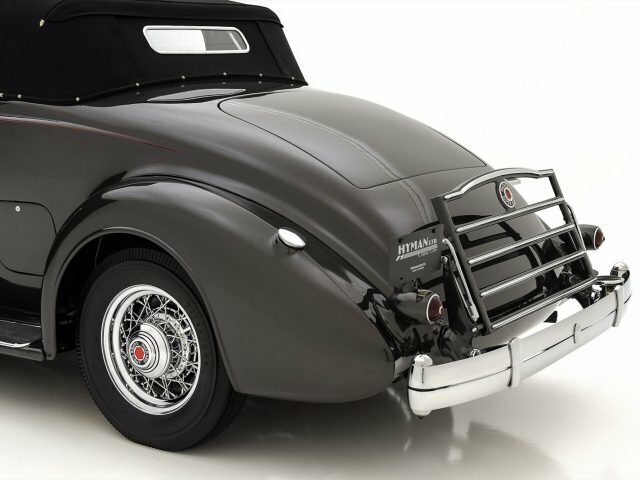 This marvelous car has spent the past twelve years in the hands of an enthusiast and active Classic Car Club of America member. 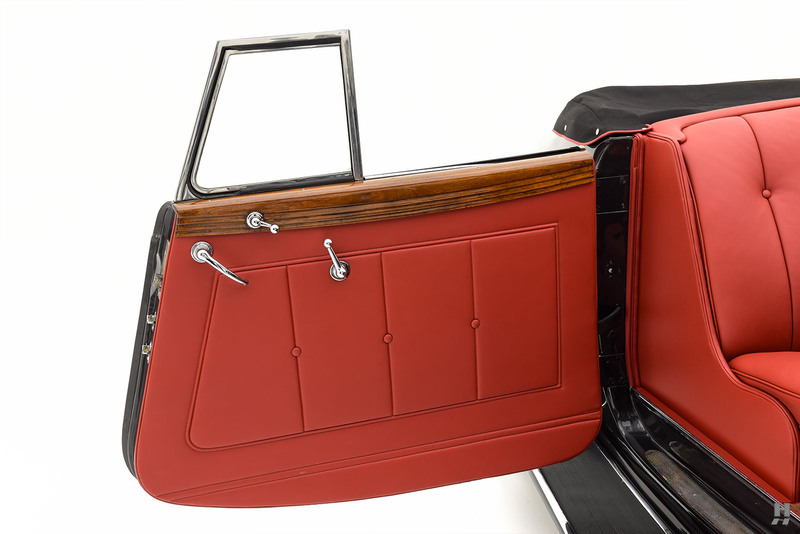 It presents in a stunning combination of charcoal gray over red leather, thanks to a high-quality cosmetic restoration. 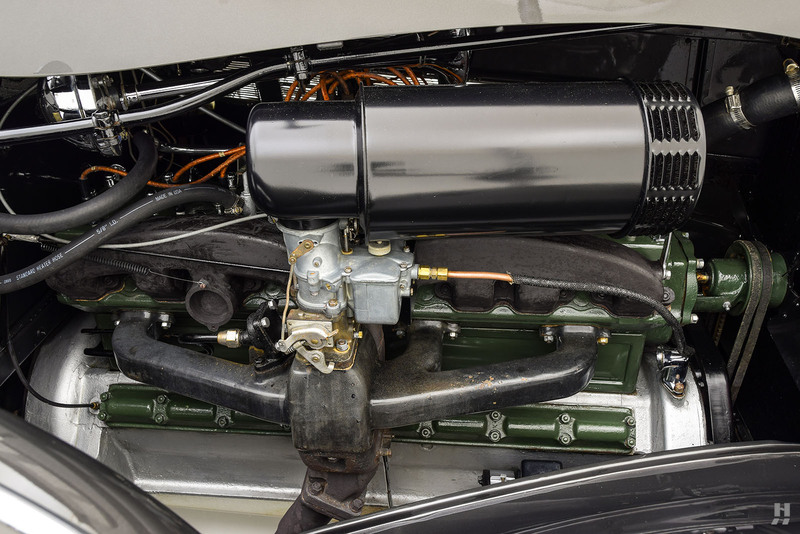 In the hands of the previous owner, the car received a repaint in its current gray livery along with a mechanical overhaul. 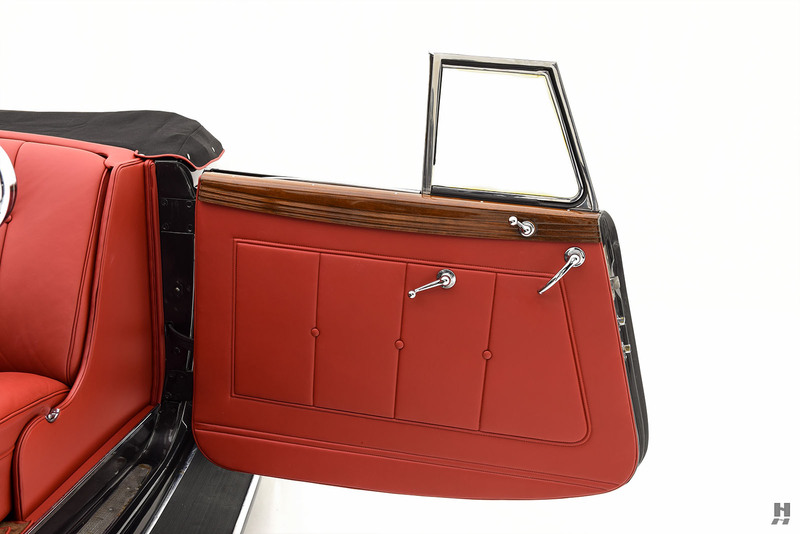 More recently, the current owner treated it to a gorgeous red leather interior and a new black canvas top. 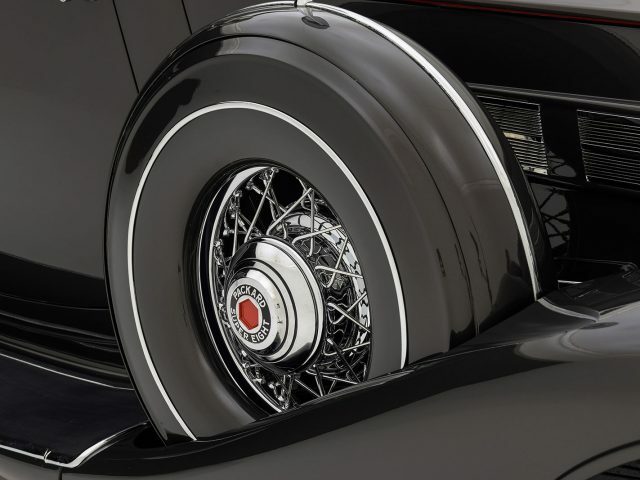 With its chrome wire wheels and black wall tires, the overall effect is quite stunning. 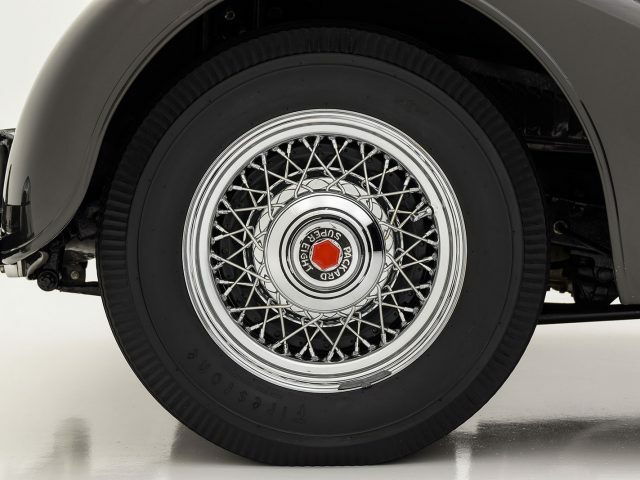 Highlighting the sharp presentation is an extensive list of factory accessories and options. 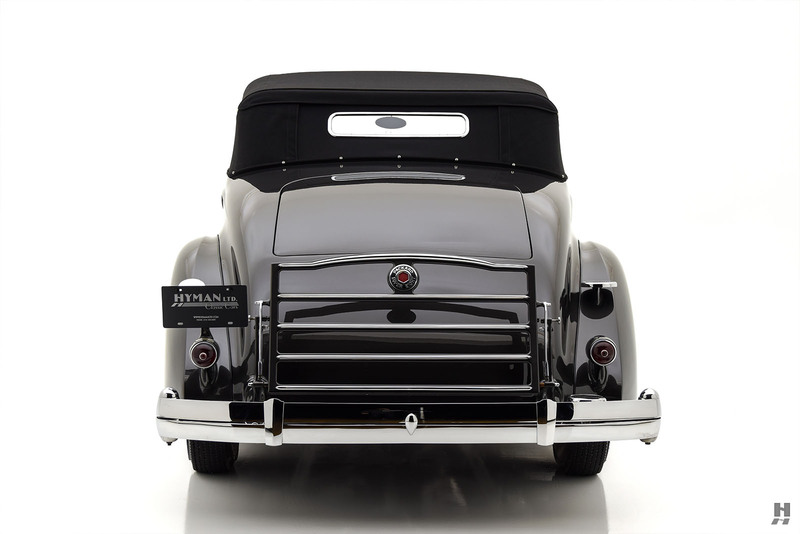 Features include vibration dampening bumpers (standard on the Twelve, optional on the Super Eight), Cormorant mascot, dual side-mount spare wheels with painted covers, dual search lamps, wire wheels, and a luggage rack. 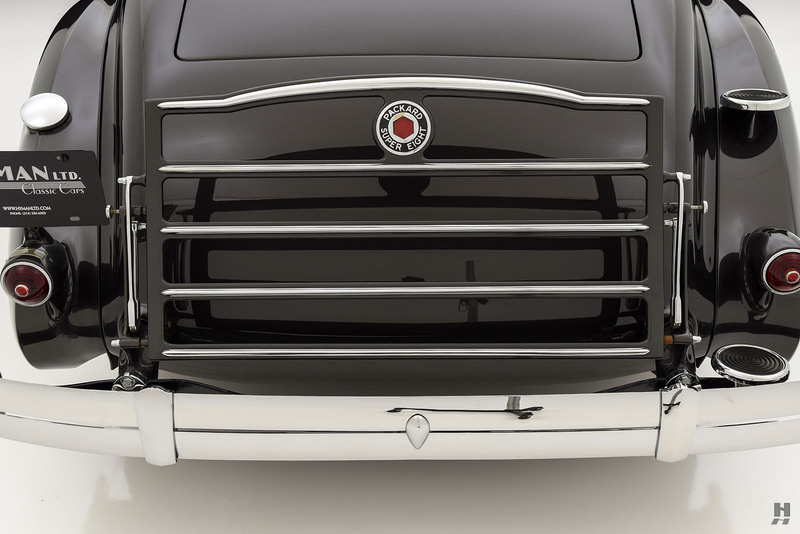 The body is very straight, with excellent panels and crisp feature lines. 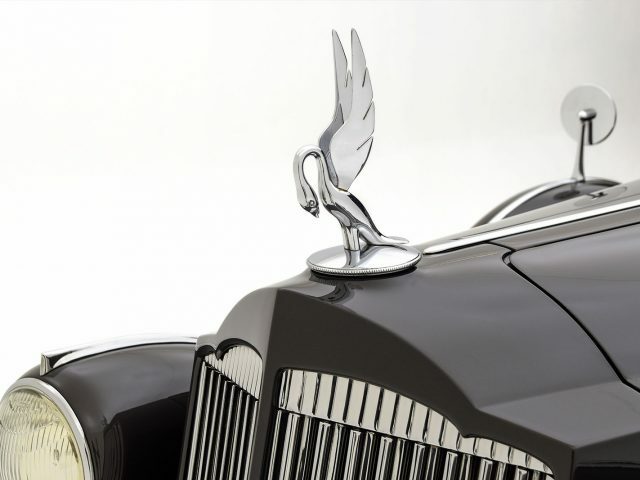 The high-quality paintwork has matured slightly, while the chrome plating is in outstanding order. 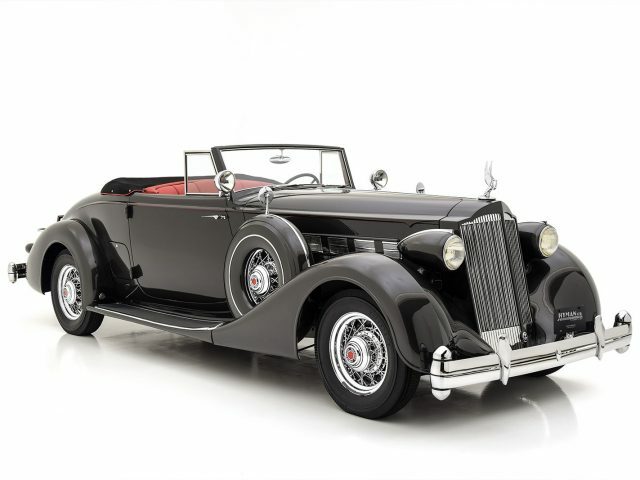 This marvelous Packard is ideally suited to touring and road events as much as it is for club events and regional concours. 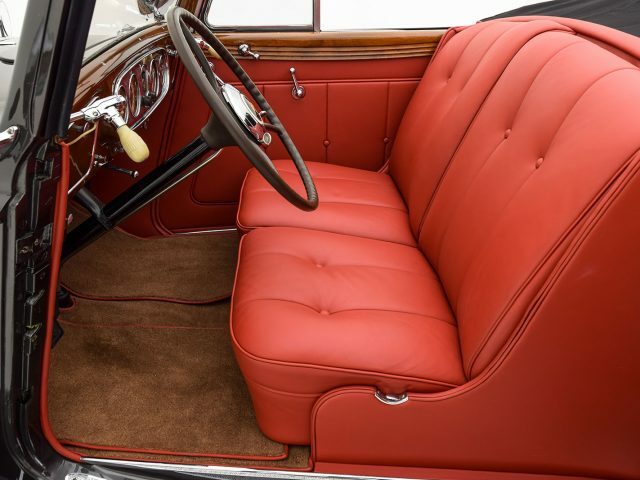 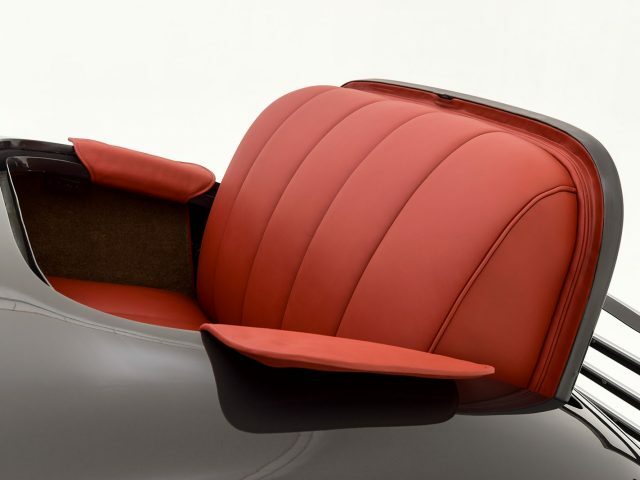 Gorgeous red leather covers the seats, interior panels, and rumble seat. 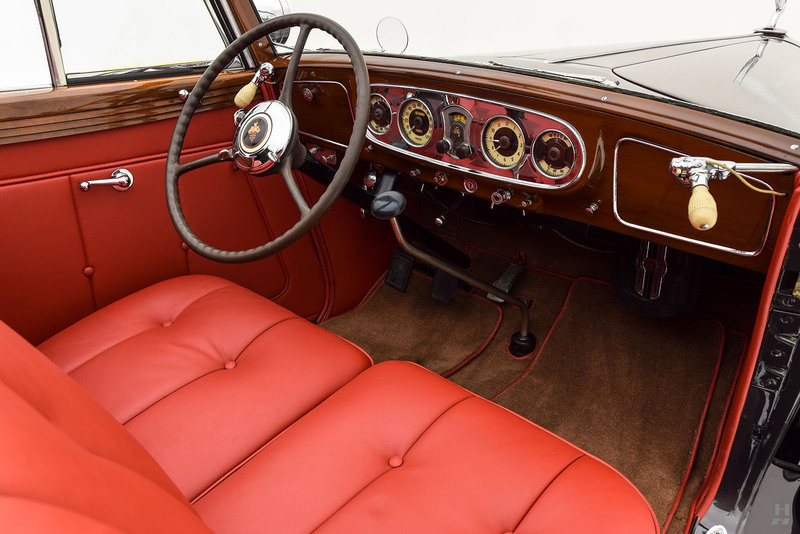 Looking fresh and finished to a very high standard, the red cockpit provides a stunning contrast against the metallic charcoal of the body. 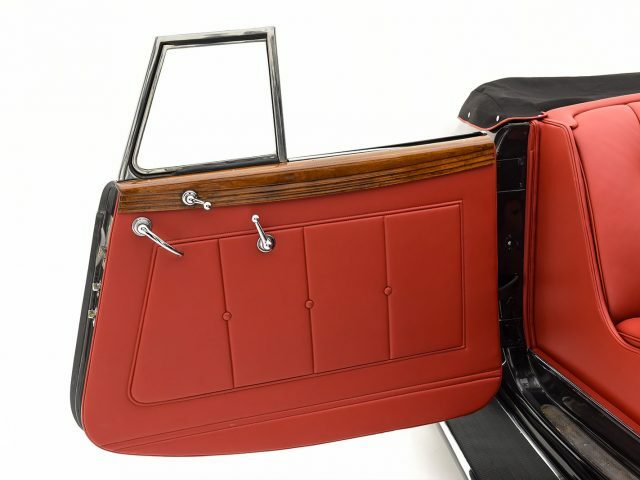 Beautifully finished wood adorns the door caps, while the dash is finished in woodgrain-effect to match. 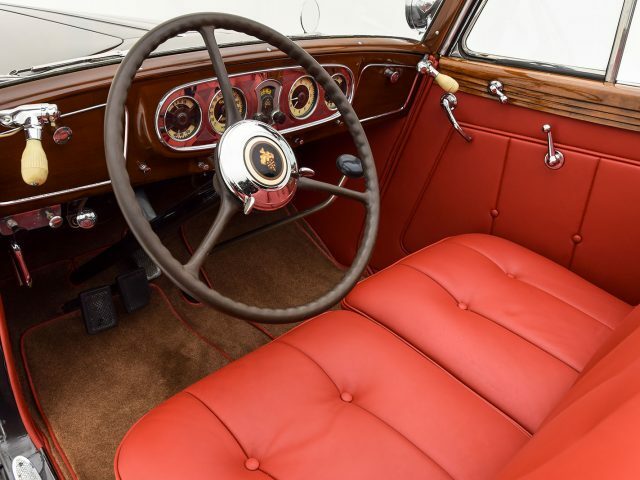 The fascia features original instruments and switchgear, as well as the factory-equipped radio and under-dash heater. 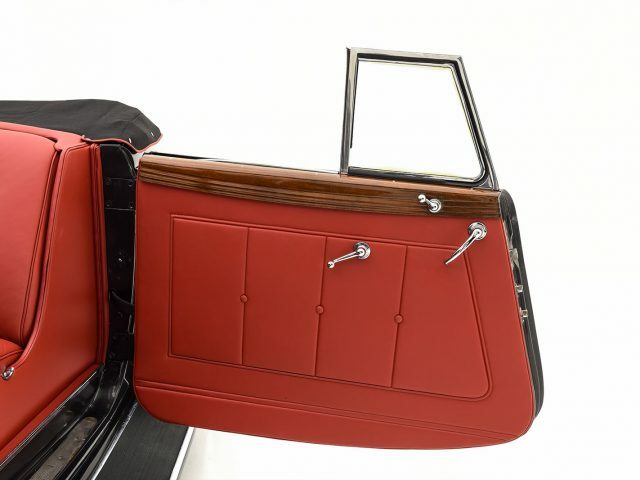 Roll-up glass side windows keep the cabin weather-tight with none of the fuss of side curtains. 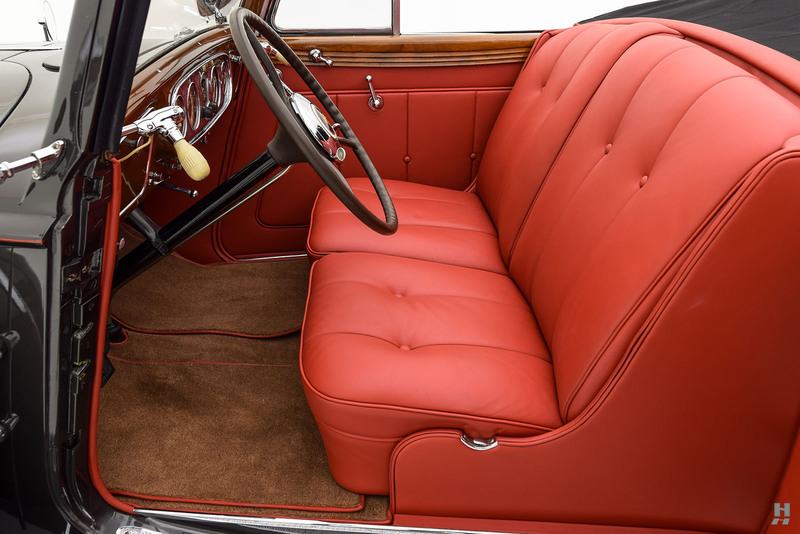 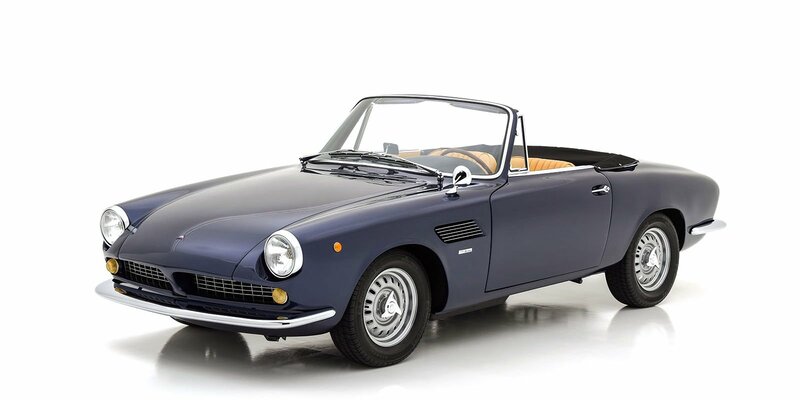 In addition to the newer upholstery, the soft top and boot are also recent, and in appropriately excellent condition. The choice of black canvas piped in red leather adds a pleasing touch to the already impressive presentation. 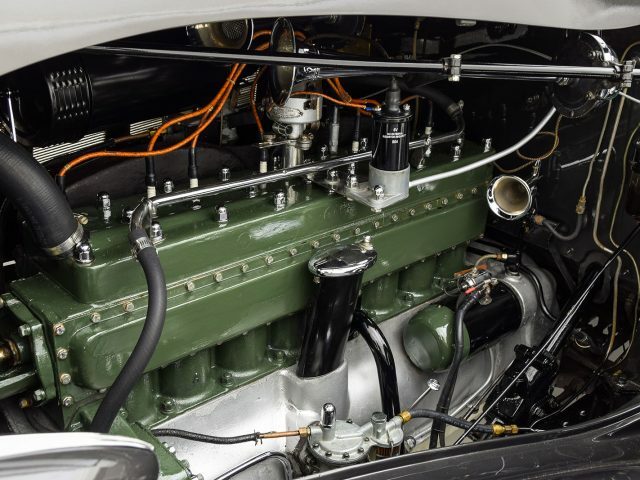 It is believed that the previous owner performed a light mechanical rebuild during their ownership. 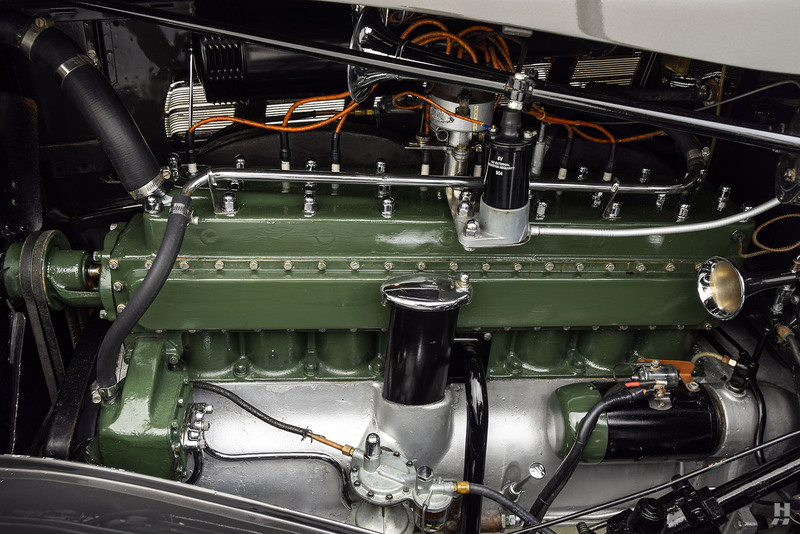 Reportedly a very low mileage and original car before restoration, the engine was rebuilt and found to be in remarkable condition inside. 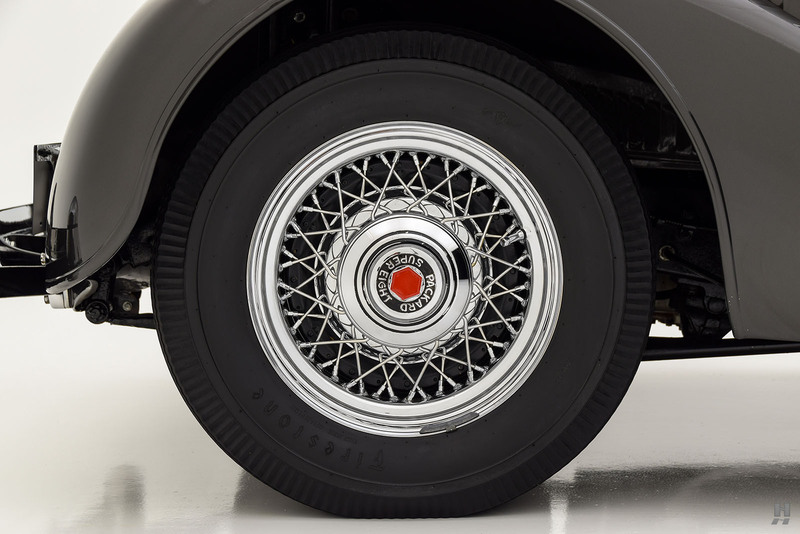 On the road, the solid feel supports the low-mileage claim. 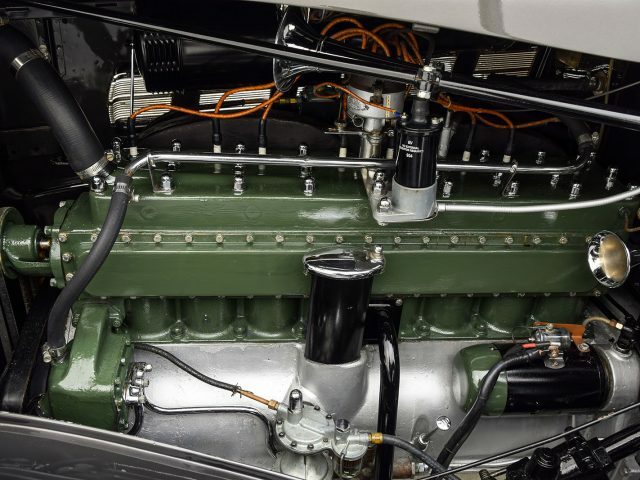 Making 150 horsepower the 384.8 cubic-inch L-head eight was of the most powerful engines in its class, yet it retained the typical refinement expected of a Packard. 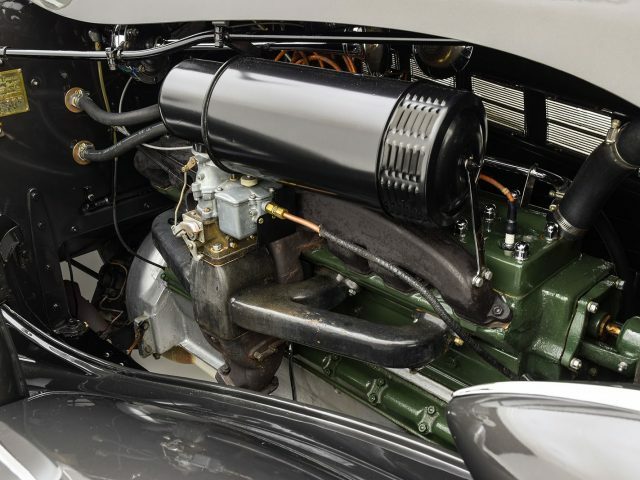 Backing the engine is a 3-speed manual gearbox that shifts with exceptional ease. 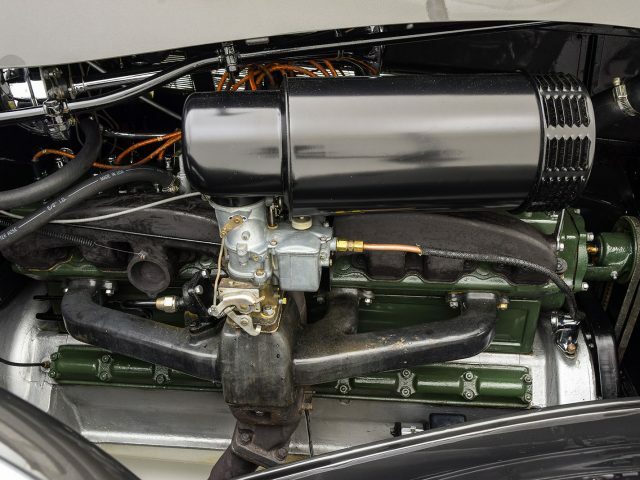 The engine is nicely presented with correct green, silver, and black paint finishes on the major components. 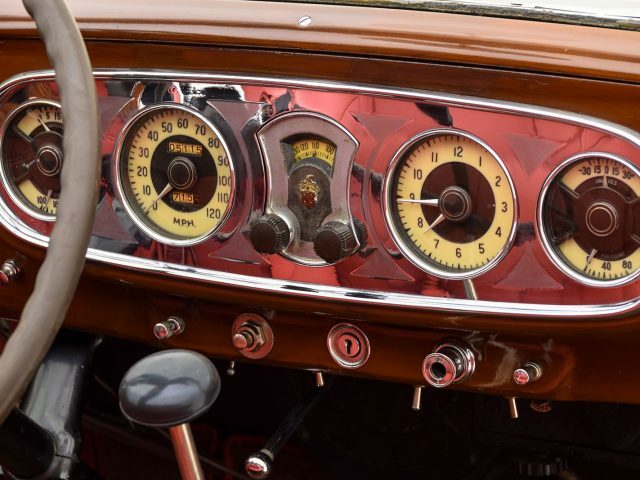 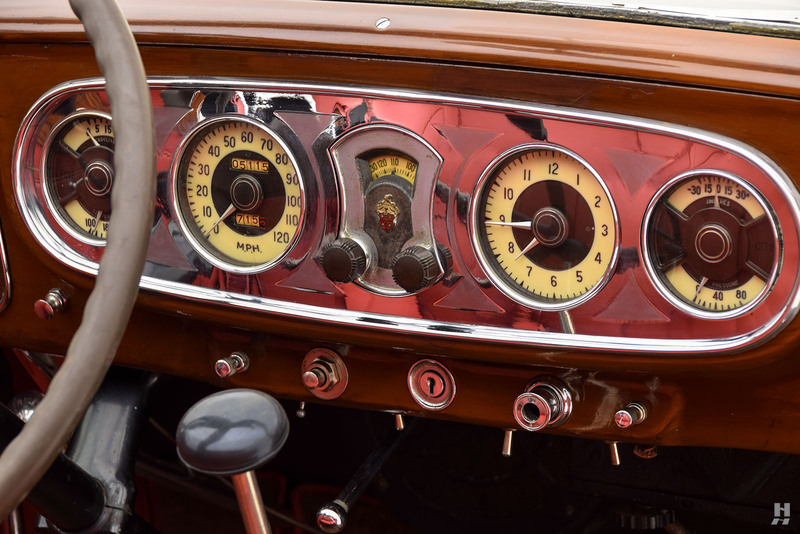 It shows some light patina on the manifolds and porcelain finishes, which is consistent with the current owner’s use of the car on touring events. 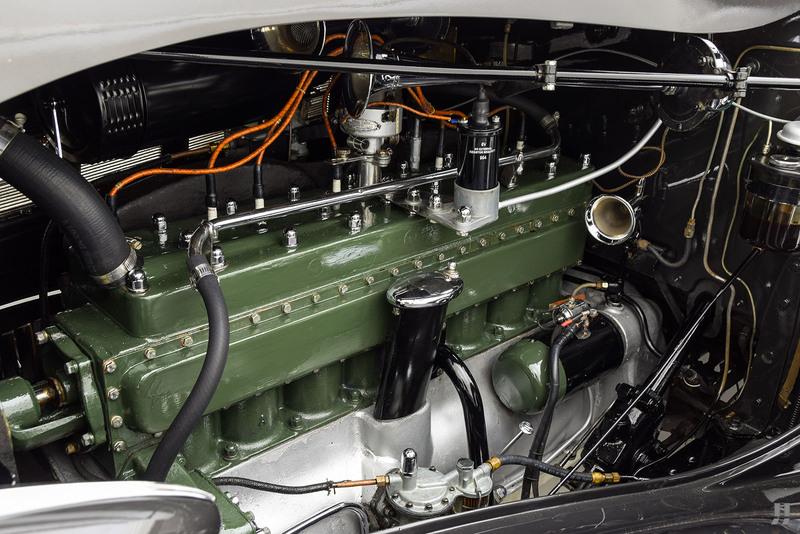 The sale includes numerous spares including a rebuilt starter and spare generator. 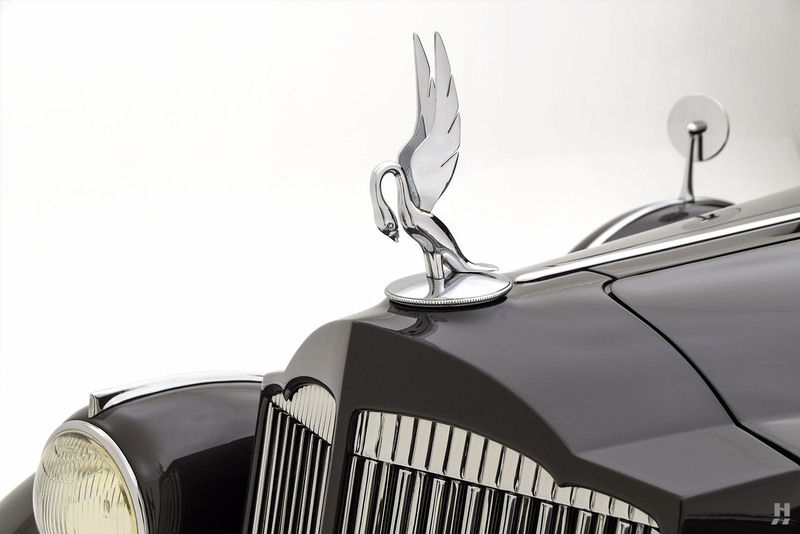 This rare and breathtaking Packard is ready to be enjoyed by its next custodian. 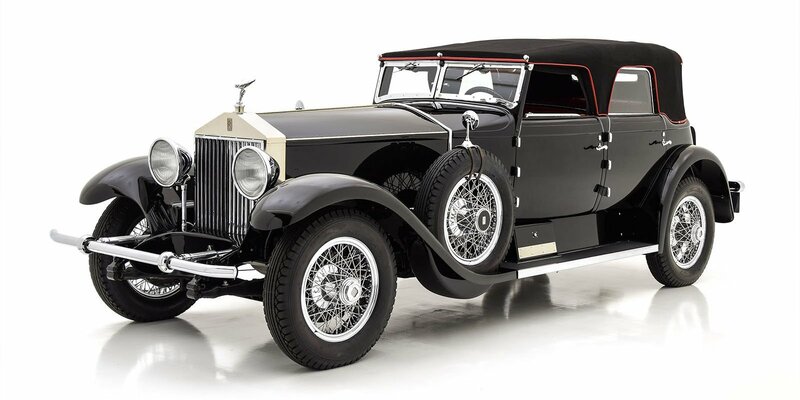 Thanks to the recent care and attention, it will be a certain crowd-pleaser on CCCA CARavan tours and shows. 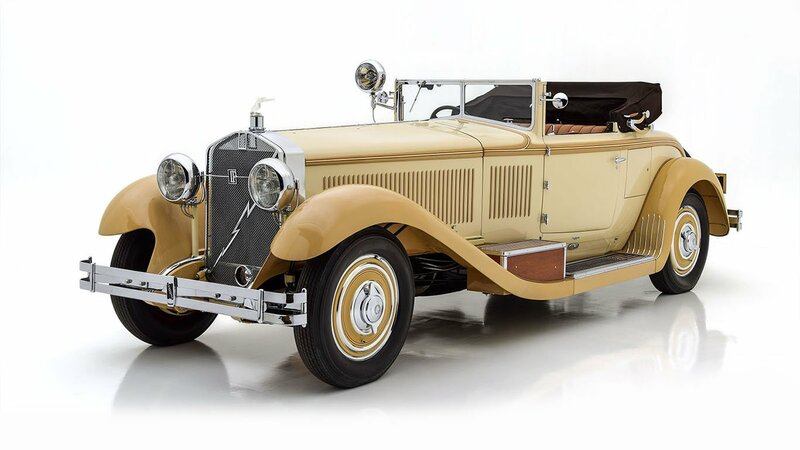 As one of just a handful of known survivors to wear this stunning coachwork, it is sure to be a welcome participant in virtually any event.